TREAT YOURSELF TO AN ALBUM! Don't let your pictures sit hidden on your computer forever! 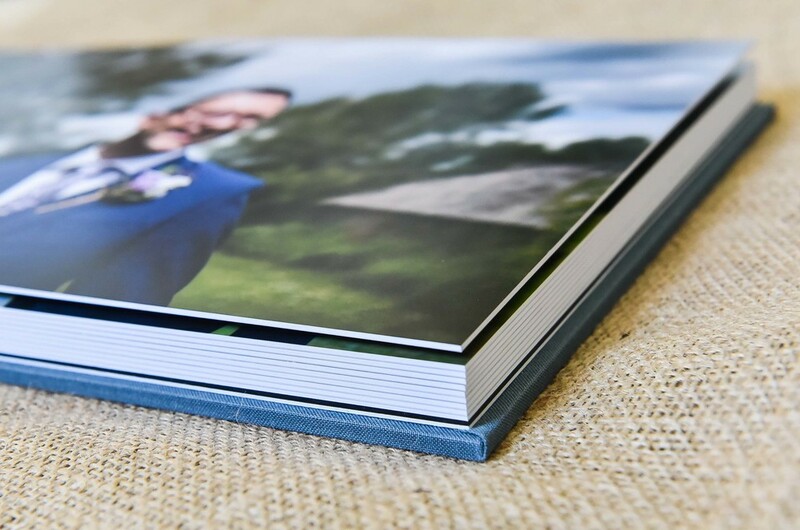 I can supply fantastic digitally printed wedding albums that really show off your pictures to their maximum. Simply select your favourite images and leave it to me to make your album. Albums will be in your hands within approximately eight weeks. Smaller albums called Parent Books (A5 in size) can also be ordered and act as wonderful gifts/thank you presents. When you book a full day wedding package with me you will receive your lovely photographs on a USB stick inside a stylish tin. An image will be printed directly onto the surface of the lid, with the metallic finish shining through. 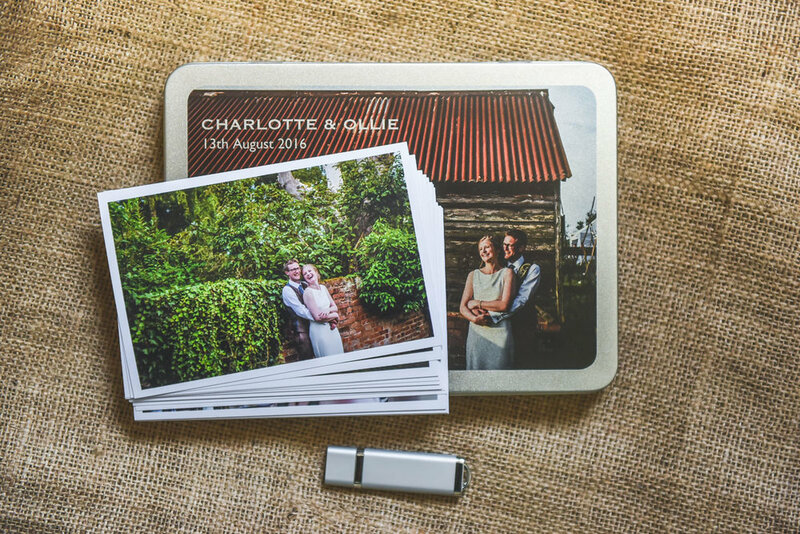 The tin will also hold some complimentary premium 6x4 prints from your wedding day. Are you planning a large wedding with over 150/200 guests or would you simply like every single angle covered including lots of groom prep images? Hiring a second photographer may be what you need!